Tradewell Ferromet Pvt Ltd can provide Cold Forged & Hot Forged Marine Fasteners / Non Standard Marine Fasteners with complete material compliance. This is MASTER corrugated fastener making machine suitable to work with 0.5mm mild steel sheets to produce 25mm length fasteners. It can produce different width fasteners of 3/8", 1/2", 5/8" and 3/4 as required by you. - Range: Dia. M8 to M100 & 5/16" to 4"
The Metal Screw provided by us is available to clients in a wide range of specifications at leading market prices. This fastener is highly sturdy. 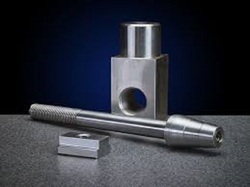 We are leading supplier of Machine Fasteners. It is also known as Machine Bolts, Machine Fastener, Machined Washers. With prosperous industry practice, our entity has gained huge appreciation in the market by providing Machined Fasteners to our respected customers. - Material Used : SAE 1010, SAE1045, EN 8T. We are manufacturing all type of Precision Machined Fasteners & Fittings majorly used in Machinery and Automobile industry. With a firm commitment to quality, we are manufacturing and supplying a broad spectrum of Machine Fasteners.